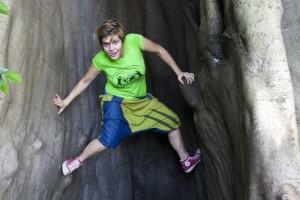 Gambia offers a lot of interesting experiences for the visitors. 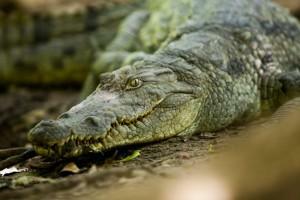 One of them is The Kachikally crocodile pool and museum in the centre of Bakau. 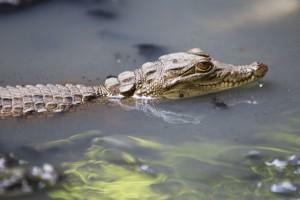 Kachikally Crocodile Pool has become a popular tourist spot over the last years. 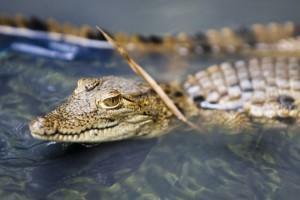 Over 100 crocodiles are living in the natural pool therefore it is an attraction for many visitors and animal lovers. The place was discovered by palm wine harvester from Bojang family more than 500 years ago. Some believe that the water, where crocodiles live, has supernatural healing powers and it has been used for infertility curing. This is the reason why every year this place is visited by many women from all over the Gambia and abroad. Specially trained women from Bojang family use water for special ritual washing. After the ritual is completed, women are not allowed to shake hands with any man from Bakau. It is prohibited to use healing power of the lake for financial purposes for the Bojang family, because the lake can lose its power. Due to numerous visitors, the crocodiles have become very gentle. Instead of meat they prefer to eat fish. and leave the stroke. 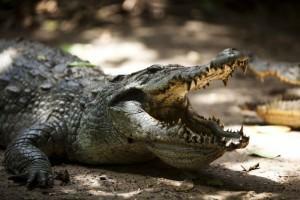 Those who are not afraid of these majestic animals can also touch them in the presence of the crocodile keeper. Their skin is covered with hard, dry scales and it is cold. 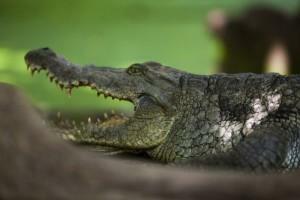 Crocodiles are cold-blooded and have to regulate their body temperature with their surroundings. They do this by cooling off in the shade or the water and warming up in the sun. Most of the time they do not move and it seems that they do not care for cuddling, photography and shouts of visitors. Crocodile well-fed for the benefit of visitors therefore prefer to lie in the sun with mouths open. 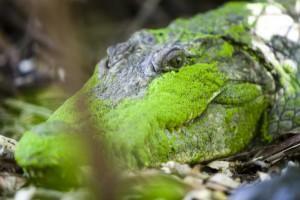 If you are lucky, you can see young crocodiles but be careful if you spot Mama Crocodile. After seeing the crocodiles you can take a look at the museum and gift shop. 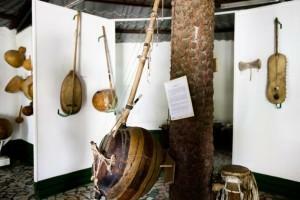 Ethnographic museum displays cultural objects from many of the ethnic groups of The Gambia, but also local crafts, music, agriculture and traditional medicine. There is also interesting craft market in Bakau, where you can buy jewelry, souvenirs, paintings, African clothing, wood products and other products of local handicraft masters. The day can be completed at the beautiful beach nearby, where you can wait for fascinating sunset under palm trees. Bakau and its surroundings is also a famous birdwatching spot.